People who file for legal separation or divorce in Duluth, Georgia, may seek reliable and dedicated legal representation. At BRE Law, LLC, we understand the strong emotions that often go along with these types of situations. 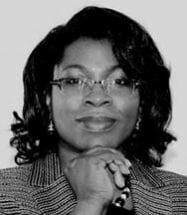 Founding attorney Barbara R. Evans helps people who are involved in matters such as divorce, child support, child custody, settlement modifications and other family law issues. We understand how emotions may be involved when dealing with major life changes, and we have the compassion our clients need during this hard time. As a member of the Georgia Association of Criminal Defense Lawyers and the Georgia Trial Lawyers Association, Ms. Evans has extensive knowledge of state and federal laws, as well as regulations in the field of family law. She has tailored the law office to meet clients' needs and to make sure their rights are upheld in court. Our law office is pleased to offer free phone consultations for our clients. During the initial call, we will discuss the details surrounding the matter at hand. We then work to partner with our clients to discuss all legal options and find the option that will yield the best results. The legal team at our law office is also happy to accept credit cards as a form of payment for our services. BRE Law, LLC, assists clients in Gwinnett County, as well as the surrounding North Atlanta Metro Counties.